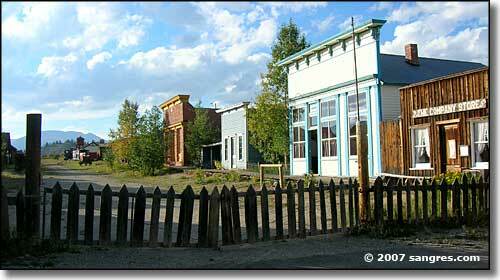 South Park City is a reconstructed representation of many Colorado mining towns dating from about 1860 to 1900. 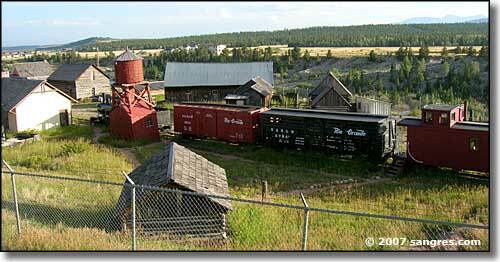 Located in Fairplay, there are 34 authentic buildings filled with more than 60,000 artifacts of daily life from the days of the mining boomtowns. 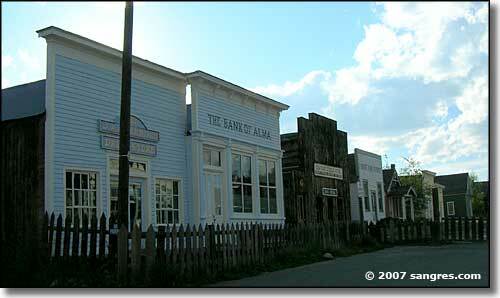 Seven of the buildings are on their original foundations while the other 27 have come from all over Park County, from such places as Tarryall, Eureka, Buckskin Joe, Mudsill, and Horseshoe. The first gold strike in Park County was at Tarryall in 1859 but the early, easily found gold and silver digs soon ran out and most miners moved on. There was a resurgance of mining about 1880 with the introduction of "hydraulic mining" (using high pressure water hoses) and then again a few years later when the first placer mining dredges were built but the old specter of the lone prospector with his pick and shovel was gone before 1870. 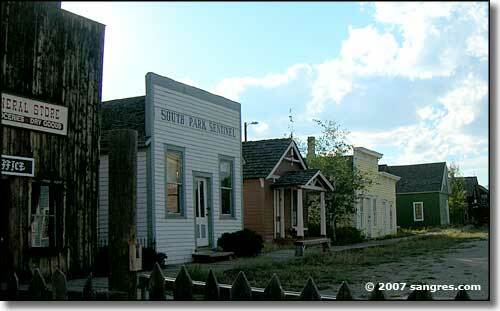 In 1957, the South Park Historical Foundation came into being with the primary purpose of saving some of the old buildings and artifacts. They decided the best way to save the "junk" was to move it to a single site where they would have the benefit of police and fire protection. For the next two years, various civic groups took on the task of moving buildings and collecting appropriate artifacts to furnish the buildings once they were moved into place. 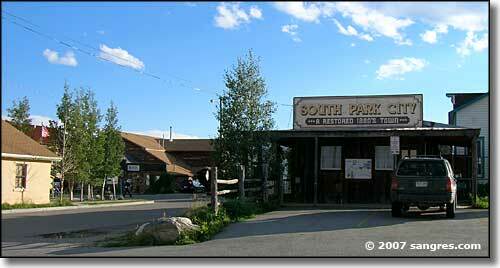 In 1959, South Park City was opened to the public as part of Colorado's "Rush to the Rockies" celebration.